While it has been fashionable over the last two years for my brothers and sisters on the left and from many parts of the labor movement to bash this President for not doing enough for labor - I think last night's State of the Union put to bed any doubts about who will remain a better ally for future labor struggles in this country. The President did the requisite middle of the road sound bites required during an election year, channeled Ronald Reagan a few times for those chamber wide applause moments. However, his executive orders to appoint Richard Cordray to head the new Consumer Protection Board and the addition of three new members to the National Labor Relations Board, while laying down the battle lines for the coming election season last night, leave no doubt as to who's side this President is on. All working men and women must take advantage of this next period to organize the heck out of their brothers and sisters on the job while the favorable winds are blowing out of Washington, DC. This President made clear, for the first time in almost twenty years, that the national drift towards a new Gilded Age is totally not OK and the folks that brought it on were going to have to pay up. Some of them, he said, might actually end up in jail. Time and time again he tore into corporations for evading their tax obligations here at home and tied it directly to unnecessary budget cuts that hurt important government services/programs and are the result of such ethically awful behavior. It was a thing of beauty to see our President actually say that billionaires (not even millionaires by the way) should pay at least as much a percentage in tax as their own secretaries. Seeing those TV cameras pan to Warren Buffet's executive secretary - nodding in agreement - then to those GOP Senators sitting on their hands - Priceless!! For today's GOP has only one small client group - those very same billionaires the President is targeting. This should now be even more obvious to all Americans that actually must work for a living. Don't get me wrong - we should not depend on this President as our savior - nor our ultimate salvation - that job is entirely up to us. However - considering the alternative universe the GOP has outlined and the ethical race to the bottom being pursued this election season by their marquee candidates - organized labor and all workers seeking serious economic change in this country need the breathing room in the future that can only be created by re-electing this President. It would be nice not to throw every dollar we raise into the Democratic Party basket this year - despite the obscene fundraising efforts of GOP Super Pacs such as Karl Rove's American Crossroads. 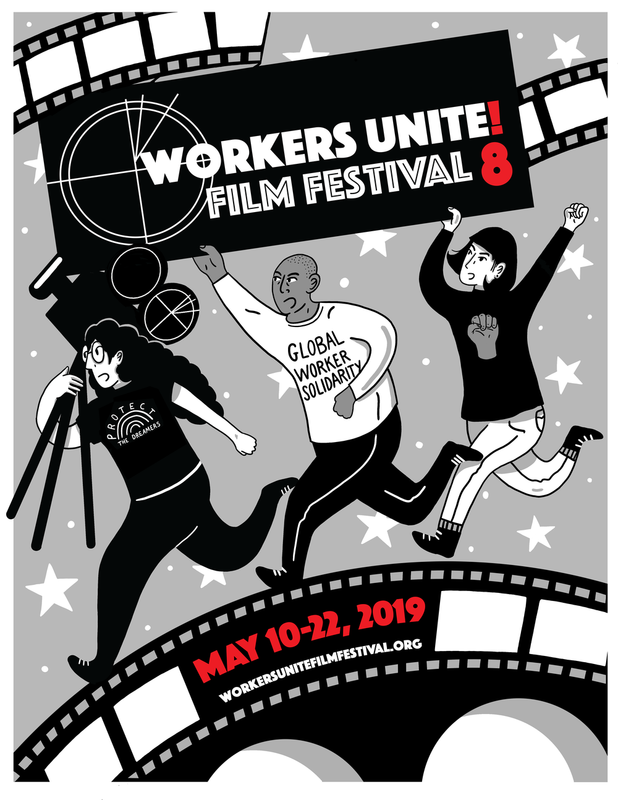 We should donate, but we should also reserve some of those millions for the desperately needed worker organizing efforts and labor media building efforts which this festival hopes to help represent across this great nation. As one who has admittedly has had my ups and downs with President Obama and some of the less than heroic give backs of this administration - such as on health care for all - I was still very proud to be an American last night. Maybe that's corny, but I have to say that this President still does give me hope for both great positive change in this country and hope that we may one day be a country where the pursuit of profit is not the 24/7 focus of every media outlet, every talk show host, or every young kid entering an IT program at college. Barack Obama may be many things, but he serves all of us and this nation extremely well as a focal point for what real hope and change can mean, why it is necessary and how we might get there. We should have our own resolve and our own agenda as labor activists. For sure. But we should also, at this very difficult time in our nation's history - when one Republican candidate tells us it is okay for him to keep even more of his millions, and that your children's school budgets can get cut to make it up, while the other GOP fossil proudly insists that God, in his grace, has actually taken the time out of his busy schedule to tell him that his philandering ways are now completely forgiven - be quite thankful that Barack Obama is our President. He retains a great deal of that courage and honor that made him the first African American President, that made him a beacon for hope and change in this country and around the world. It's up to us to help make that promise to all working Americans real.